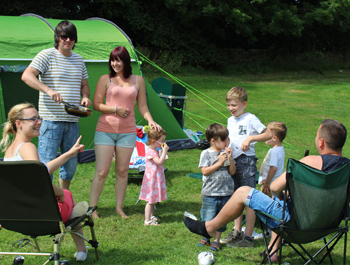 Campsite – Camping, Camping Site, Camping Facilities North Yorkshire, County Durham, Barnard Castle. If you are looking to go on a camping trip near North Yorkshire, we are the perfect location to pitch up, with Richmond, Barnard Castle and the Yorkshire Dales all just a short distance from us. 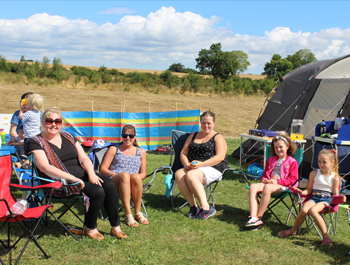 Since Thorpe Farm Caravan Park and Campsite opened in 2008 we have developed our camping facilities, whilst maintaining easy access from all areas in North Yorkshire. More people than ever can now enjoy our campsite with over 100 hard grass standing pitches for caravans and over 50 pitches for tents. Each and every pitch occupies plenty of space for you and your family to really spread out and enjoy yourselves during your stay. Prices based on 2 adults and 2 children. additional adults and £2, £3, & £4 per child over 5yr old. Groups under the age of 25 are not permitted without prior arrangement. If you’re camping with us, you will never have to worry about brining extra water supplies. We have fresh water points located around the site, to ensure you always have a source of hydration. If you’re a family with pet dogs, they can come along for the trip away too and enjoy all that North Yorkshire has to offer. While we allow dogs to enjoy our campsite, please just ensure they are kept under supervision and on a lead at all times!